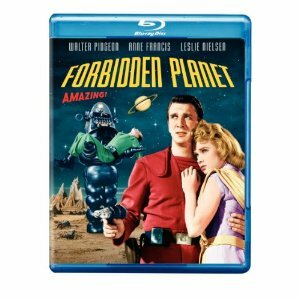 WorldMovieStore - Forbidden Planet Sinopsis. Forbidden Planet is the granddaddy of tomorrow, a pioneering work whose ideas and style would be reverse-engineered into many cinematic space voyages to come. Leslie Nielsen plays the commander who brings his spacecruiser crew to Planet Altair-4, home to Dr. Morbius (Walter Pidgeon), his daughter (Anne Francis), a dutiful robot named Robby…and to a mysterious terror. Read More Sinopsis. 0 Response to "Blu-ray Release Forbidden Planet"